We offer a professional installation service on most of our products, please feel free to contact us for further details. Our installations team will eliminate as much hassle for you as possible. At least 2 members of our team are designated to each installation and they will remove all packaging and waste following the installation. 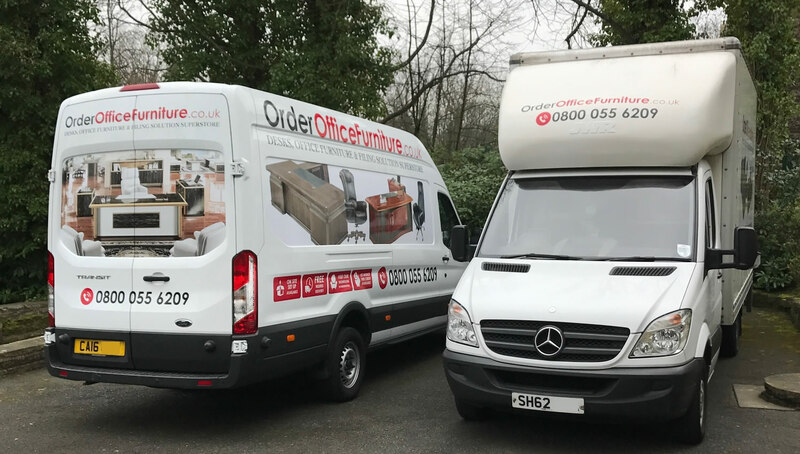 Some items are delivered fully assembled, we appreciate this is not always possible due to the sheer size of some of our products and access restrictions at your premises, we will therefore assemble larger products on site if required. We pride ourselves in our willingness to assist you. Is your office on the 9th floor? Are there parking restrictions during certain times of the day? Would you like out of hours delivery? We would be delighted to discuss our solutions to these potential delivery issues and we will always strive to provide an economical and efficient delivery solution. We can also install outside of the UK on substantial orders. Please get in touch via telephone or email to discuss an installation with us.